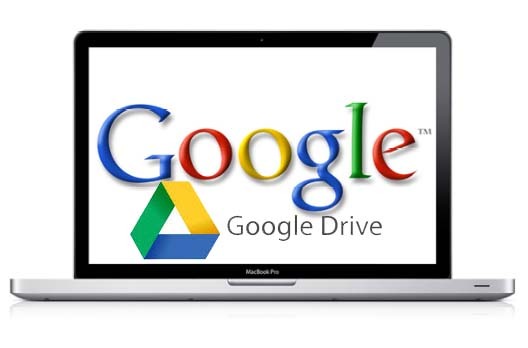 Many people have been paying for other third-party apps just to Backup multiple Google Drive account without restriction, as Google doesn’t grant any access for multiple user to Sync their account on a single PC. And is of note that many people with multiple Google Drive needs to Back up their files either for personal or work use. Due to the cause of this article I have undergo series of research on how to sync multiple accounts without necessarily involving any third-party app to achieve that singular aim and as we go on to this post on how to run multiple instances of Google Drive on Windows for free, I will unveil the tricks, just read along. For this method to work effectively, the creation of another user account in Windows is mandatory and when this is done just open new instance of Google Drive Desktop app on the new Windows created account. Provided that the instance of most apps are open on different Windows account privileges Windows will definitely grant you that access to sync multiple instance of Google Drive on Windows free of charge. Follow me along as I show you how to create new Windows user account to be able to open different instance of Google Drive and syncs data. In this tutorial, the version of the Windows OS that we will be using is Windows 10 but in case you are using other versions like Windows 7 or 8, you can also get some instructions from Microsoft support page. Note: In creating the Windows user account make sure you create an administrator account in order to get full access to most data in the PC. >>1. Proceed to Windows Settings from the Start Menu and follow by clicking on Accounts. >>2. The next step is to select Family & other people from the left panel and also proceed by clicking on Add someone else to this PC under Other people. >>3. After carrying out step 2 successfully another Windows will open up where you will click on I don’t have this person’s sign-in information. >>4. The next step is to click on Add a user without a Microsoft account. >>5. Provide username and password for the new account on the next page and click Next to create the account. >>6. In order to set account as an administrator, click on Change account type below the created account. >>7. Finally proceed to select Administrator in the Account type drop-down menu and click OK. In case you are not already running Google Drive before now, then you need to proceed by launching it and also sign in with your primary account. To open another instance of Google Drive is done by accessing the Google Drive execute file via File Explorer or you can also access it via Programs files, also alternatively, you can right click on the Google Drive Start Menu shortcut and proceed by selecting Open file location in More option. When the you are done with the launching of the app then you can proceed to the other instructions below. >>1. Simply hold on the Shift key and right-click on the Google Drive app shortcut. >>2. In the context menu you will see a new option named Run as different user, just click on it. >>3. Proceed by entering the username and password of the new user account you created and click OK.
>>1. Simply open up the second instance of the app and sign in using the secondary Google account that needs to be sync. >>2. Proceed by clicking on CHOOSE FOLDER to grant you access to select a folder from the PC that needs to be sync. >>3. If probably you may need to access data of your primary account, then proceed to Users in Windows drive and open your primary user account. When the account has been prompted just click on Continue. >>4. Next, provide the password/pin for the primary account and you will be granted access to its data. >>5. Finally, once the folders to be sync has been selected proceed by clicking on Next and finish up the syncing process. After all the steps above your data that is residing in the secondary Google Drive account should be able to be save in a different Google Drive folder as listed in the new user account’s folder and whatsoever that is been added to the synced folders will be sync automatically. To sync as many Google Drive accounts base on your choice simply repeat the process as treated above carefully. Important note: When you launch the secondary instance of Google Drive app please make sure that you follow the above setup instructions strictly as Windows will not grant you the access to set it up from the same user account in the nearest future. Below are some of the limitations that you should take note of in the running of the app after following the procedures successfully. There is a limited access to the opening or managing the preferences of the secondary Google Drive app from the primary user account. Whenever you left or right click on it nothing will happen in the process (that is to say that the primary account works fine). In case you may require to change your preferences in the future, just sign out and log in to the secondary user account and tweak Google Drive settings. For the secondary Google Drive app to start running you need to manually launch it whenever you restart your PC. Any time in the future that you need to quit the secondary Google Drive App, that you can do from Task Manager by pressing (Ctrl + Shift + Esc). Can I have more than one account on Google? Can you link two Google Drive accounts? How do I merge two Google accounts? How do I switch Google Drive accounts? Can I have 2 Google Drive accounts on my computer? Can I transfer my Google Drive to another account? Can you have two accounts on Google Play? Can you have more than one Gmail account? Can I use Google Drive without a Gmail account? How do you change your email on Google Drive? Do well to share the post your friends on social media. Thank you.